King Chess is a beautiful ornament for your hotel. As seen in the picture, this king chess is placed in the outdoor area of a beach hotel. It becomes the point of interest of the space and unique idea to welcome the guests. 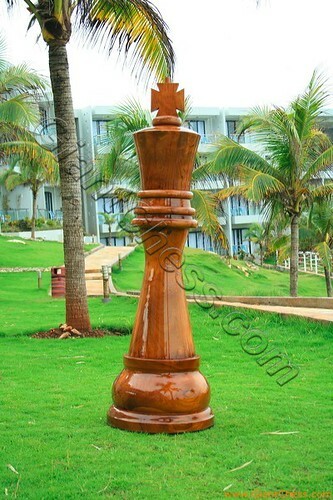 Consider to lay King chess piece at your hotel garden, sure your guests feel interest for it.